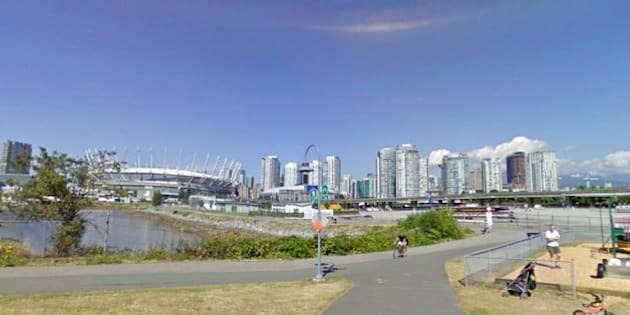 Some residents in Vancouver’s False Creek neighbourhood say they’re outraged the value of acres of prime waterfront property has dropped to a dollar. Concord Pacific has promised to develop a nine-acre parcel of land east of The Plaza of Nations into a park and transfer it to the city. But residents appealed a $400,000 assessment because they say the company currently makes substantial revenue from the property through parking and events like Cirque du Soleil. Fern Jeffries with the False Creek Residents Association says not only did the appeal fail, the assessment has now been dropped from $400,000 to $1. "It makes a mockery out of the whole system,” she said. Jeffries says her group can't challenge the ruling without help from the city. Former COPE Coun. Tim Louis represented the group before the Property Assessment Appeal Board. The appeal board agreed the land was actually worth more like $12 million, but deducted the $17 million Concord estimates park improvements will cost. Louis says the park is supposed to be part of Concord's swap for increased density, not a tax write-off. In a written statement, Concord says development were put on hold because of the 2010 Winter Olympics. “The development was put on hold as staging area for the Olympics but we are now very excited to see the city is moving ahead in the planning of the area,” the statement said. With files from the CBC's Jason Proctor.